The power of social media today is undeniable. Roughly 7 in 10 Americans use social media sites to connect with the digital world, and Facebook ranks among the top-three most visited websites worldwide. Yet how can you ensure your small business is capitalizing on our social society? 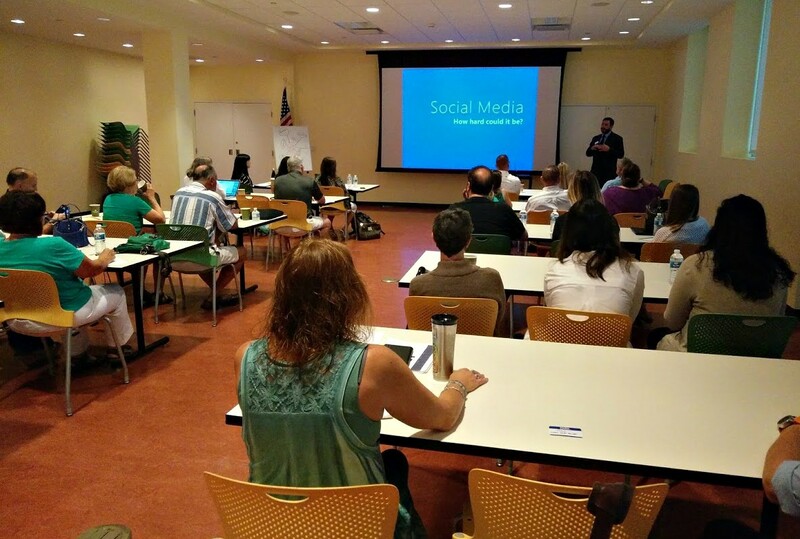 Jack Tibbitts led the “Social Media 101 for Small Businesses” presentation. 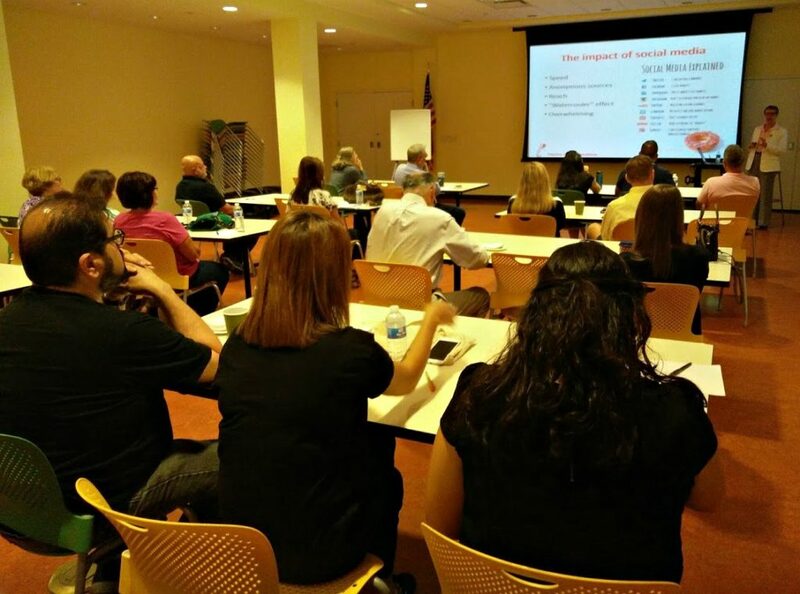 The Downtown Lakewood Business Alliance, a program of LakewoodAlive, sought to address this question during its recent “Social Media Workshop for Lakewood Small Businesses” at Lakewood Public Library. Free and open to any Lakewood business, this two-part workshop aimed to help businesses maximize the benefits their brands receive from social media usage, while learning how to prepare for (and hopefully avoid) a crisis on social media. Part 1 of the workshop kicked off August 10 with a session entitled “Social Media 101 for Small Businesses.” Led by presenter Jack Tibbitts, a professional social media marketer who provides consulting services to small businesses, this session covered topics ranging from selecting social media platforms to post frequency to maximizing engagement. Workshop attendees particularly benefited from Jack’s presentation regarding the importance of claiming your business on Google. Running through various examples, Jack demonstrated how small business owners can help ensure their businesses produce strong visibility in online search results. Barb Paynter shared her expertise during the “Social Media & Crisis Communications Management” presentation. One week later, on August 17, workshop participants reconvened at Lakewood Public Library for Part 2 entitled “Social Media & Crisis Communications Management.” Barb Paynter, a Lakewood resident and longtime crisis communications consultant, spearheaded this session. Barb, president of Paynter Communications, has spent her distinguished career helping business clients communicate effectively during high-stake situations that threatened their reputations. Part 2 of the workshop featured a presentation by Barb regarding crisis management from a social media standpoint. Barb delved into effective strategies for handling a crisis situation on social media and also detailed techniques to prepare for and safeguard social accounts before a crisis takes place. Thirty Lakewood small business owners attended each session, and both workshop portions included question-and-answer opportunities for the audience. For more information regarding the Downtown Lakewood Business Alliance, please visit LakewoodAlive.org/DowntownLakewood.